Dr. Emy Onishi shares how you can achieve your beauty goals—inside and out. When it comes to health and wellness, Dr. Emy Onishi understands that attaining true beauty is a practice that comes from within. We sat down with the licensed dermatologist and certified yoga teacher as she shared her skincare secrets, a look into her yoga practice, and how she aims to discover her best self yet. "I keep my skincare routine simple. In the morning, I start with facial wash, followed by brightening serum, moisturizer, and sunscreen. At night, I also keep it straightforward—just facial wash and moisturizer or night cream." Your Instagram account reveals that you travel a lot. How do you adjust your skincare routine when you go on your adventures? "Moisturizer and sunscreen are my absolute travel essentials. A good non-comedogenic, non-acnegenic moisturizer hydrates my skin in drier, colder climates. In hotter, tropical countries, I never scrimp on sunscreen. It's so important to keep your skin protected and damage-free." What is it about yoga that made you fall in love with it and made you decide to become a yogi? "I started practicing yoga in 2012. I signed up for a class, not really knowing what to expect. Later on, yoga became my way of connecting with and unlocking my inner, natural self. It's so important to live happily, peacefully, and with presence—yoga has been that avenue for me to pursue that very state of authentic living. "I recently took my 300-hour yoga teacher training programs in Koh Samui, Thailand, under @bryceyoga, @yogabeyond, and @mathuieboldronyinyasa. I met so many dedicated yogis from all over the world, and the overall experience was so inspiring. Although I'm not teaching regularly yet, I hope to do so in the future." How do you make time for yoga when you have so many things to do in the day? "For me, it's not about how many things you have to do in a day. It's about what your priorities are and what you decide to give your time to. If you decide to fully commit to a habit or a lifestyle, then you'll never be 'too busy' for it. That being said, my yoga practice isn't always a full asana routine. Sometimes, it's just five to 10 minutes of meditation. When you just give yourself a few minutes to sit still and breathe—that, for me, is already yoga." Why did you want to become a dermatologist, and what's the beauty philosophy behind your practice? "Dermatology is a huge subspecialty in medicine, and the skin is the largest organ of the body. I'm really fascinated by the visual aspect of it. I love art and I'm a really visual person, so you could say I was drawn to becoming a dermatologist. When I treat somebody, I can diagnose and see improvements based on what I see, and all I want is to help patients feel good both inside and out. When your skin is healthy from the inside, it shows on the outside, too." 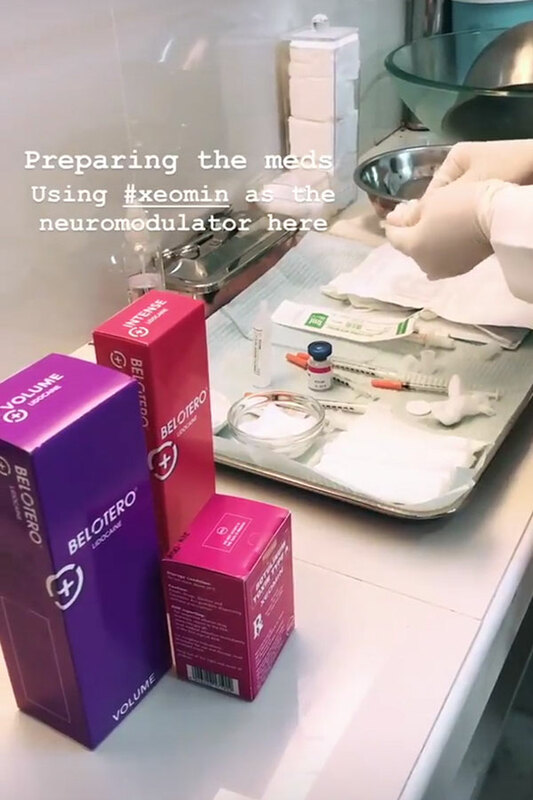 We saw in your recent IG stories that you performed a treatment called Xeomin on a patient. Can you tell us more about it? "I did this to my fellow yogi friend, and it was actually her first time to try an injectable treatment. She came to me when she started to notice more folds and lines that would appear on her face when she would make certain facial expressions. These are called dynamic lines, and they're caused by the facial muscles that contract when you smile, laugh, or frown. As a way of caring for my patients, I help them choose the right procedure for them, which is why I recommended Xeomin on my yogi friend. "Xeomin is a neuromodulator or neurotoxin that modulates muscle movement. When administered properly, it relaxes the targeted muscles. In my friend's case, her corrugators were the muscles responsible for the frown lines between her eyebrows. Xeomin reduces the prominence of dynamic wrinkles, which can become deeper and more noticeable as we age. I think most people are afraid that the treatment will make them look 'unnatural,' but that's a misconception. When administered correctly and in appropriate amounts, you'll simply look fresher. Also, prevention is key." You performed another treatment called Belotero. How is this different from the Xeomin procedure? "Belotero is a hyaluronic-acid filler, and it acts as an anchor to give more volume to the face. As you age, you gradually lose the elasticity and plumpness in your skin. Hyaluronic acid not only gives the skin a more firm and youthful appearance, but this particular Belotero treatment can also improve your facial proportions. What's nice about Belotero is that it has a polydense cohesive matrix (or CPM®) technology that can help give you a more natural look. 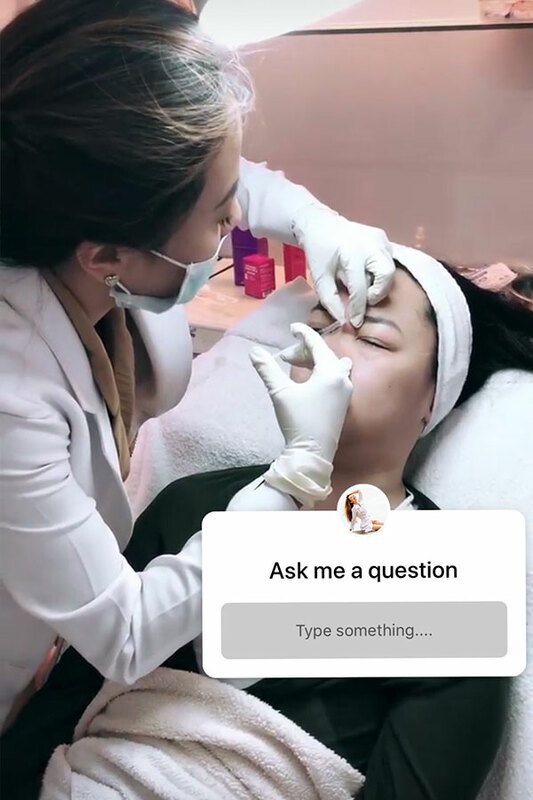 "If you watched my IG stories, I also administered the filler into my patient's chin. I added more volume to her chin to create more symmetry between her nose and lips." What can you say about the stigma that surrounds undergoing skincare treatments to look younger? "Some people are mistaken about these treatments—that they will make you look like a totally different person, but that’s really not the case. I customize every treatment I administer, depending on my patients' needs and preferences. After all, each patient is unique. "If you're curious about a particular treatment, then I would advise to always ask your doctor about the available options. These treatments are made to make you look and feel younger, fresher, and more confident about yourself—just like the ones in my IG stories. These two procedures address wrinkles and loss of facial volume, which are two of the most common problems in aging." How do you complement being a yogi with being a dermatologist? "I love how yoga and dermatology are so connected: Both are about achieving your best self, inside and out. What goes on in your body and in your mind is reflected in your skin. "A lot of skin conditions are triggered by stress, like psoriasis or acne. When you cultivate a wellness practice like yoga, you learn to become more calm and peaceful, and when you find your peace, it will show on your skin, too." What's your advice for busy working girls who want to take better care of their skin? "When it comes to skincare, it's so important to choose and focus on what you can influence in your daily life. Always start with the basics: enough sleep and hydration, and good food—with these, you always have a choice. Stick to an easy routine: facial wash, sunscreen, and moisturizer. When you take care of yourself, you're helping improve your overall well-being." 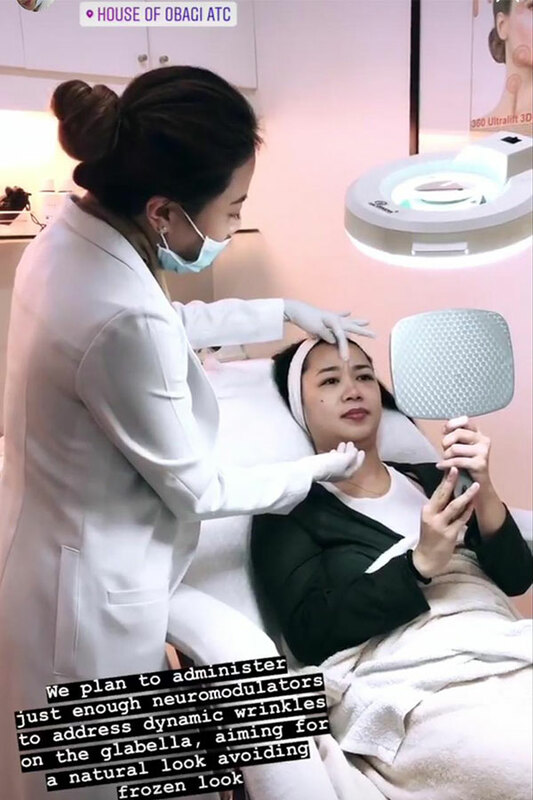 Dr. Emy Onishi practices dermatology at House of Obagi (HOO) in Alabang Town Center, Muntinlupa. Follow her on Instagram at @emyonishi.